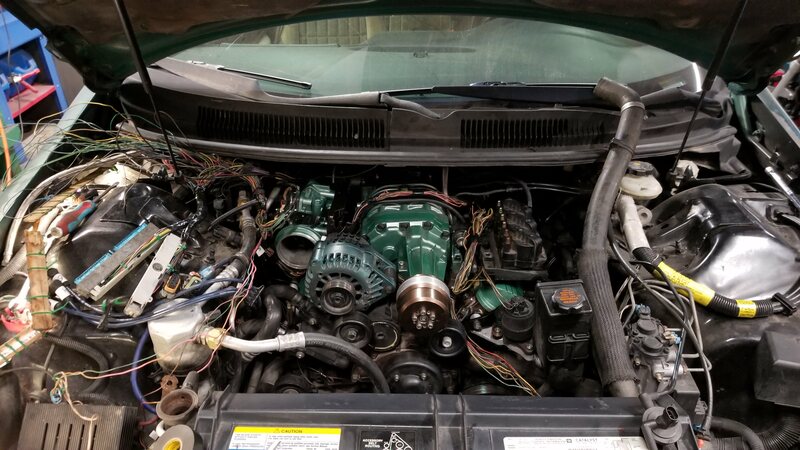 Post subject: Re: My 1997 Camaro: Project I CAN SEE is DONE!!! I totally forgot I took these pictures, but the latest modification I'd done to my Camaro was over the summer meet. 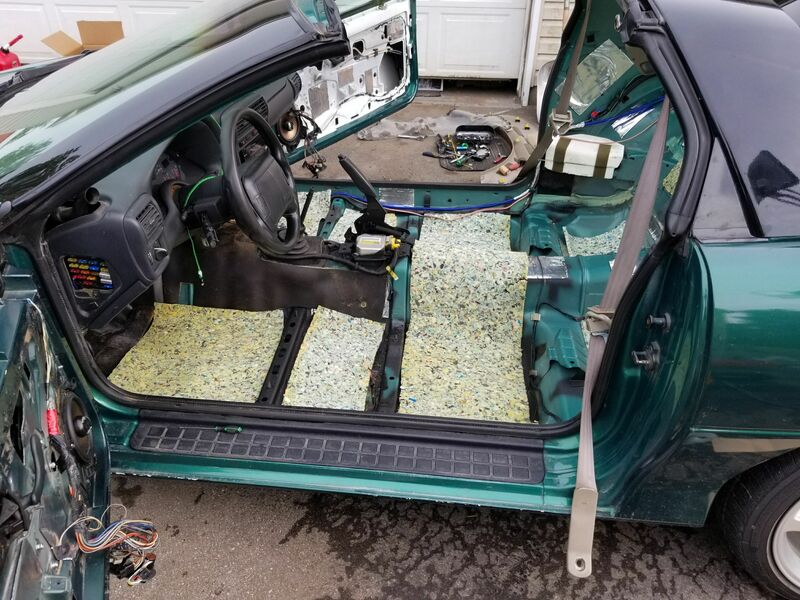 Sound deadening tiles from sound deadener showdown, and added some foam and jute underlay insulation. I also tried to fix some of the rattles in the rear hatch area, but that was only marginally effective so far. I know they look haphazardly placed, but I put them centered over the areas that seemed to have the loudest booming/reverberation. I didn't get as many pictures as I would have liked, but someday somebody might upload some pictures from the meet, and I'm sure you can see all the fun I had. Overall it worked out very well. But it also made some of the other rattles and noises much more pronounced. But I'll be doing some more work on it this spring. I need to get new rear springs, new shocks, new bump stops, maybe another performance upgrade for the motor. 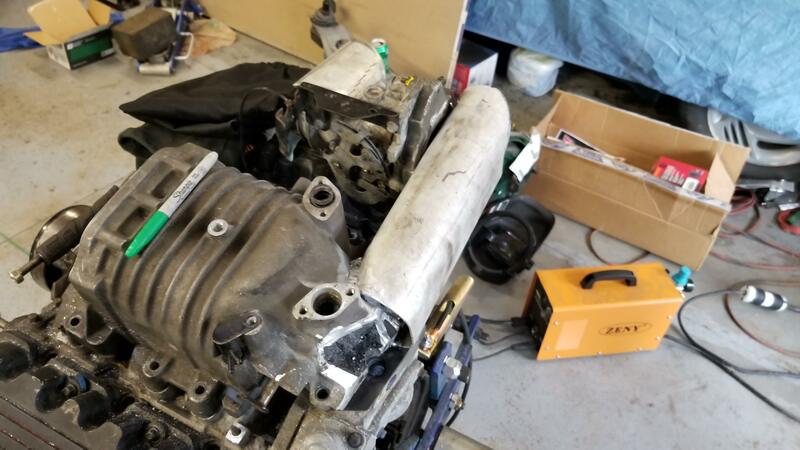 But the biggest thing is fixing the exhaust so it stops hitting the trans crossmemeber, the associated exhaust leak, and re-do the hatch area again to attempt to silence the crap plastic back there. 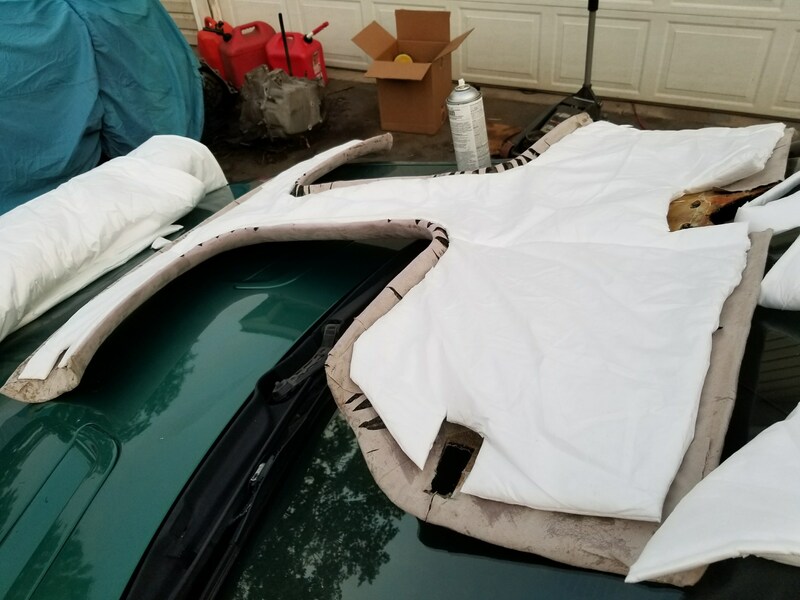 If I get really motivated I'll get some stretchable faux suede and a new headliner base that isn't broken and poorly repaired (I couldn't un-do that tragedy); one that actually fits... Then wrap all the trim as well as that layer of material will help with preventing rattles. Quite the project...but then again, you never shy away from digging deep. Made any progress over the winter? Winter for me is normally reserved for house projects and acquiring parts for my next car project. I have a bathroom remodel going on right now. That being said, expect to see some major overhauls on this car this year. I'm going to be finishing my truck interior and some other small things, finishing the '97 LeSabre, all of which should be fairly quick and simple, then moving on to this car again. L67 top swap project complete! After doing plenty of reading, despite photobucket breaking the internet, I thought I'd had a plan of attack for what looked like a fairly straightforward project by my standards. I will credit this build thread (http://www.fullthrottlev6.com/forums/sh ... ed-s-Build) for a lot of useful information. One thing I learned was that, man oh man, nobody that did these things goes into half of the details of what all needed to be done other than "bolting it on". Also these other builds were not really meant as stock daily drivers. All known swaps have had a much larger budget than I did and were willing to delete things I wasn't. 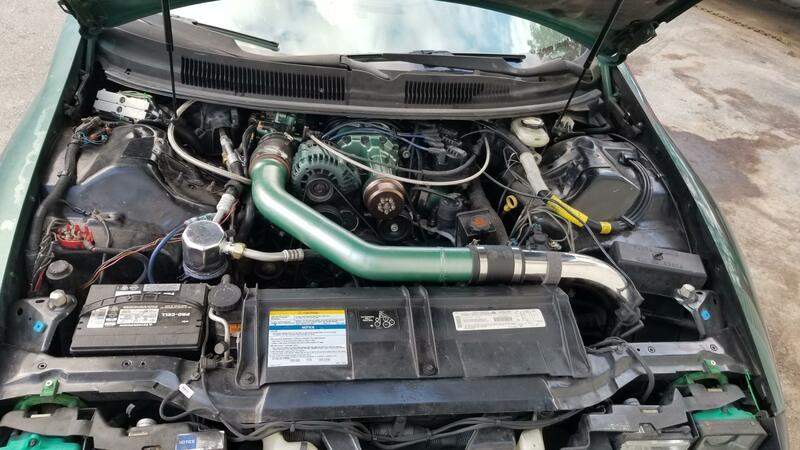 My build doesn't delete any emissions, A/C, EVAP, EGR, etc... I also limited myself as much as possible to use/modify existing parts, no special fuel rails. I decided to approach this project with a simple 'get it done' setup, and work on a more refined solution later if it really bothers me or causes issues. That is to say, I don't care if it looks like it was hacked together by farmer Bob - because it was, and if that bothers you well... don't look! I've decided that If I have to re-visit this at any point, I'll be switching to a gen 5 blower. I'm staying away from a turbo because it's just a bigger can of worms, and this is still just a daily. Cue the search for parts! After finding a practice blower case, originally out of a '97 Bonneville, I set to work. 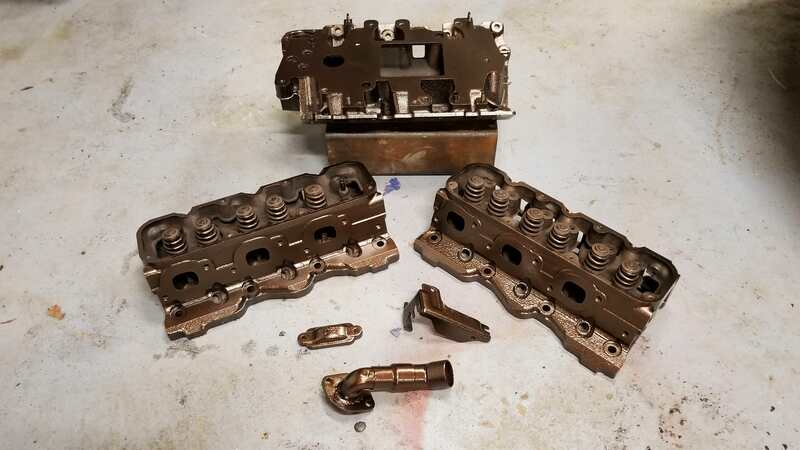 I don't have a bridgeport yet, and cant pay somebody to do this for me, so cue the angle grinder cutoff wheel, reciprocating saw, and band saws, die grinder cutting burrs, and the rotary tool; and of course the TIG. I should note that this project was pushing the limits of the 165 amp welder I have, the bottom of the blower case is a good 1/2" thick and one spot along the side is over 1" thick. I ended up having to braze those spots. 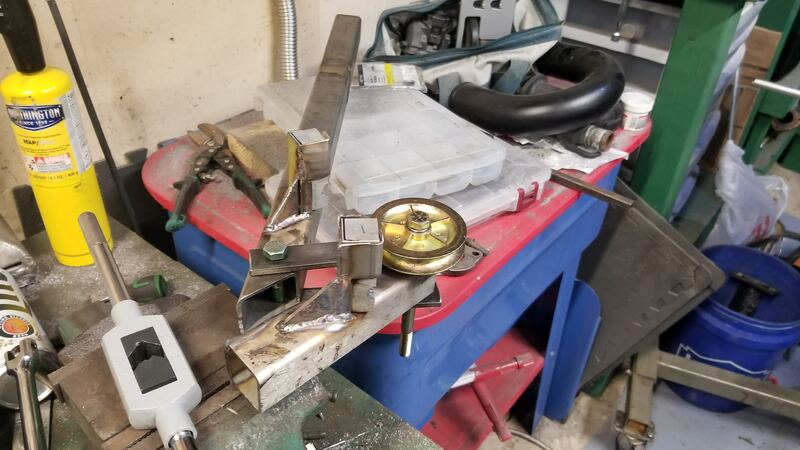 I stopped by the local metal recycler and grabbed what appears to have been an aluminum extrusion from a light post or something for like $5. It was the craziest thing I could find that would be useful. Cue some more cutting, some welding, some test fitting, and I had my starting point. 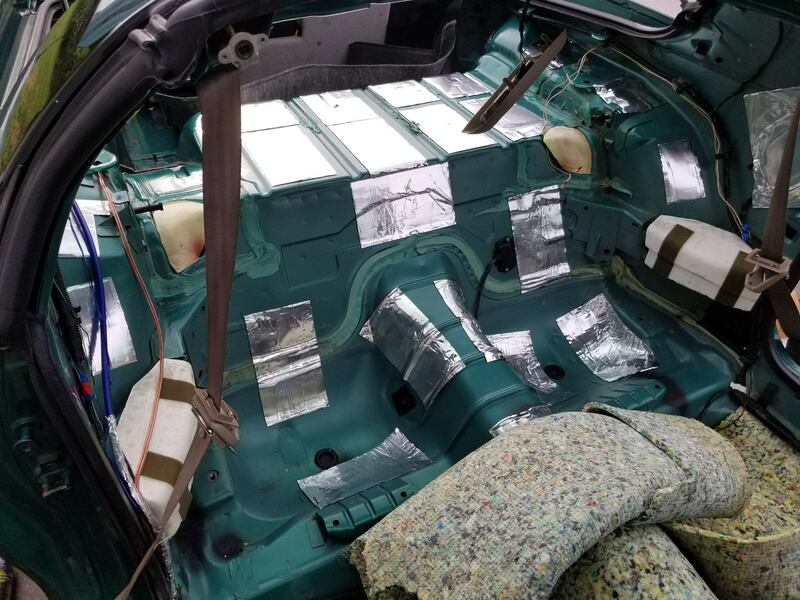 Note that at this point I expected to have to make at least two more cuts to clearance the A/C lines when I did the real test-fits on car. I then started planning how to re-route the EGR. 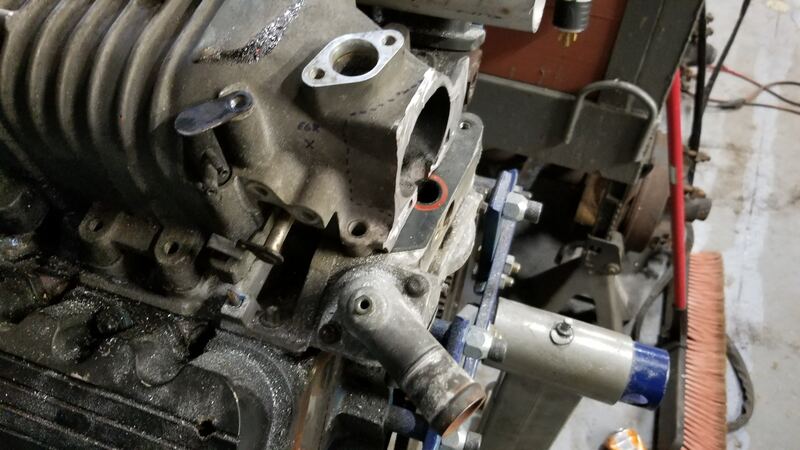 Obviously I hadn't planned on using the original port in the manifold, as I wanted to make sure I had a nice smooth transistion internally around the corner into the blower. 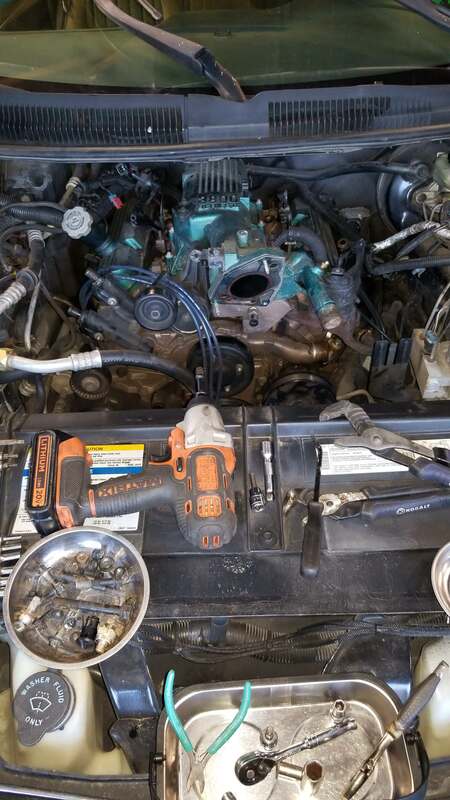 By this point the LIM/blower passages for the EGR and throttle body coolant ports and the throttle body PCV passage are all blocked off. There's some conflicting or incomplete information out there about top swapping or L67 swapping the Camaro, one of the non-discussed things is the belt(s). 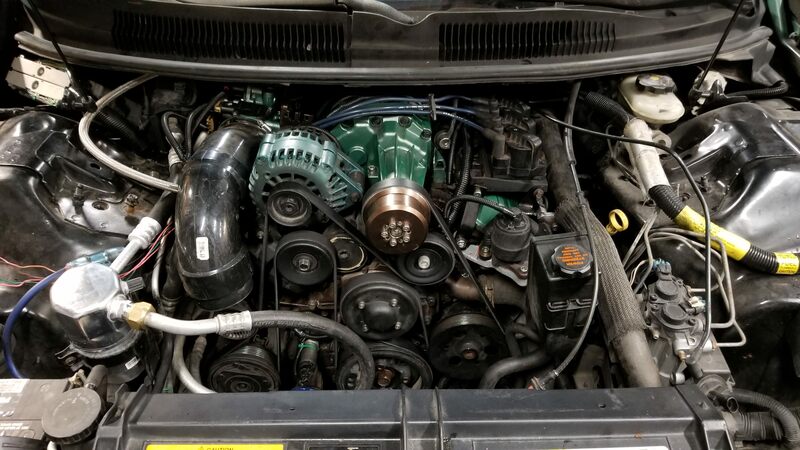 If you keep the Camaro accessories, you can't run the L67 blower belt. 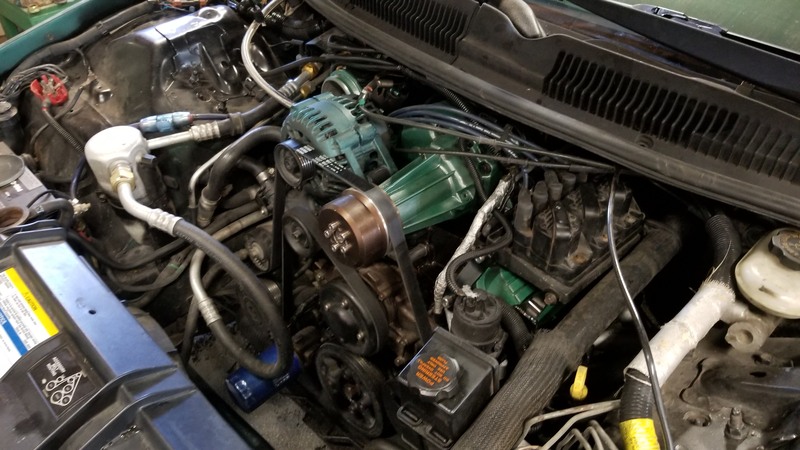 If you use the L67 blower belt setup, you lose A/C. A compromised the belt routing is needed by decreasing belt wrap and figure out how to get the SC belt to clear the water pump pulley - I've messed with this on my '93 SSEi and know you end up with a 5-rib belt after a few months (or run a 6-rib belt on the outside end of the 8-rib pulleys if you have them). This matters because to keep the EGR and A/C I have to use the Camaro accessories. That is why I opted for the offset pulley and to run a single belt. It was important to sort out the belt in order to work on the EGR (placement of valve). 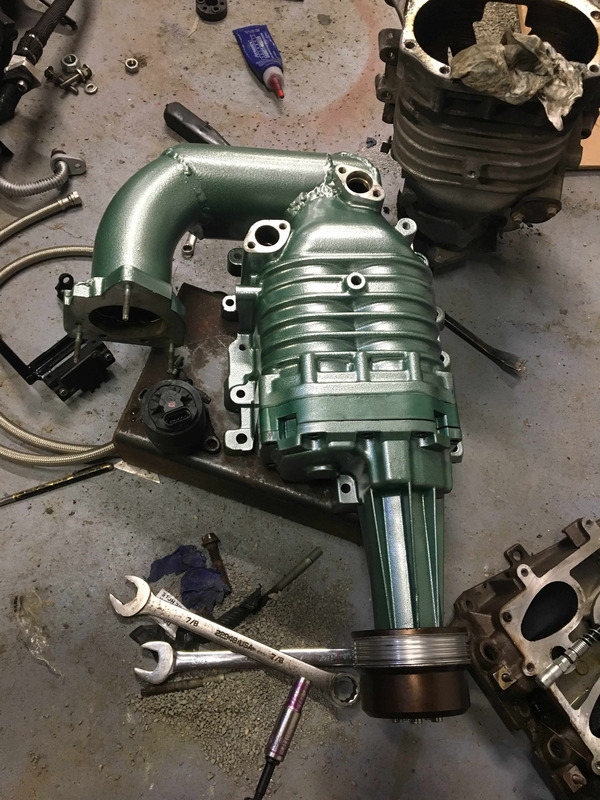 The EGR pipes are roughly 5/8" stainless tube (metric), but to simplify the cost of a large diameter tubing bender and material availability/cost I decided to use 1/2" soft stainless tube and high-temperature compression adapters to relocate the EGR inlet to the back of the blower case. While I've got everything apart, it's going to be a good time to port and polish, gasket match, and replace some wear parts. 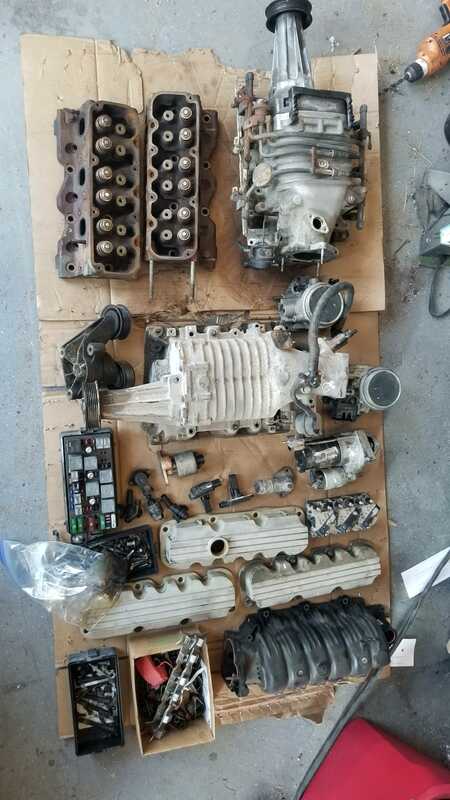 The only performance upgrade is going to be the valve springs and a single roller chain so I can rev to 6k with the NA cam I already have. 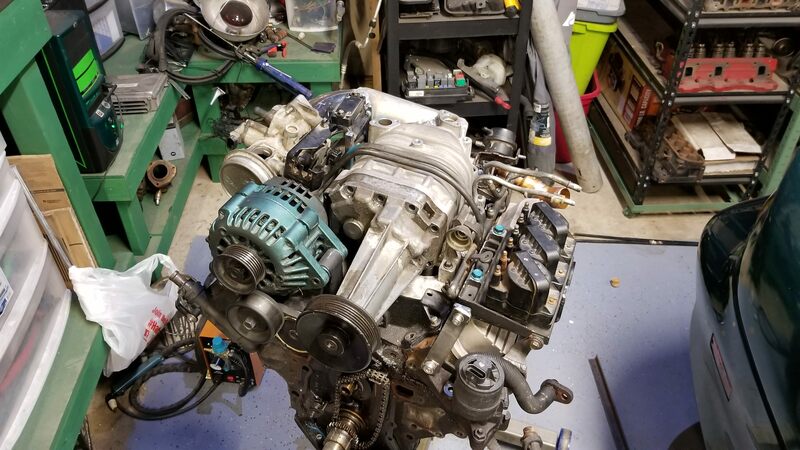 Aside from that and replacing all the bearings and such in the blower, I was on hold until I could actually justify parking the DD in the garage. Between finishing the project 97 L67 LeSabre (finally, lol) and my new daily, I had an excuse to start the Camaro! This allows me to use the long straight section of the GXP hose to run up alongside the valve cover. 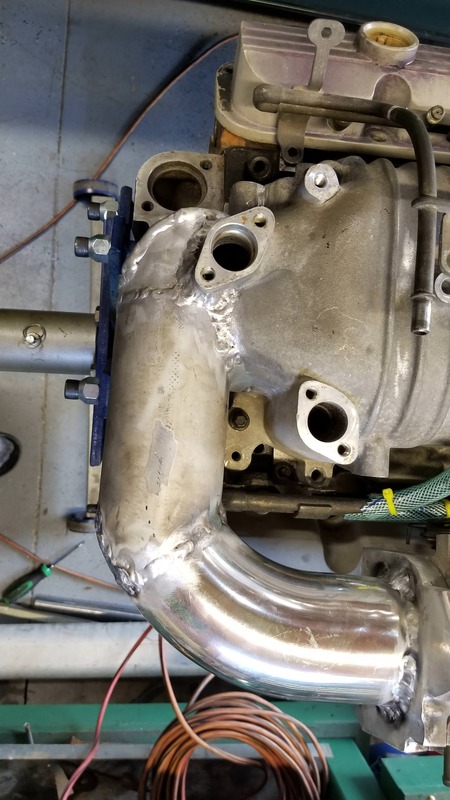 With that figured out, the ICM mount fabricated, the PCV vent re-routed over the blower to the TB, I was able to work out a routing for the new EGR tube that kept it mostly clear of anything that won't like the heat, of course header wrap and aluminum heat shields will be needed at some locations. With all of that figured out and fabricated the real fun begins...Powder coating all the things!!! After all, it has to at least not look completely hacked together..
Now that it's on car the other challenge begins: wiring and tuning. 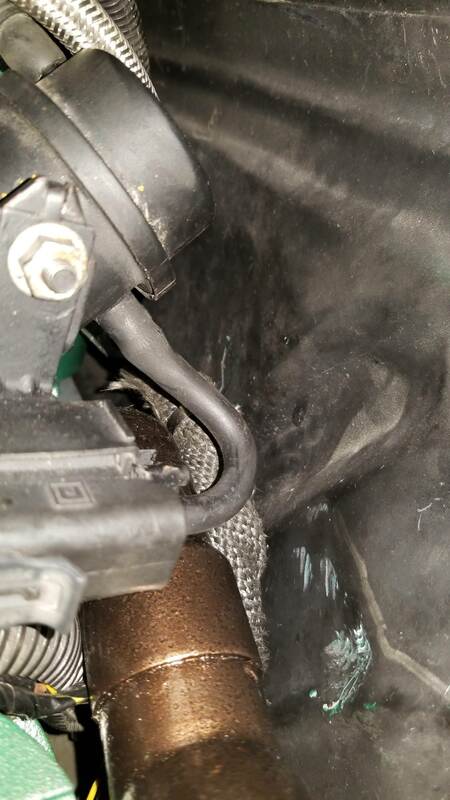 I ended up with a series 3 2-bar MAP sensor as it plugs into the connector on the Camaro harness, in basically the same location as the Camaro one is to minimize harness changes. Basically everything is plug and play, though you need to relocate the EVAP purge and vent valves. 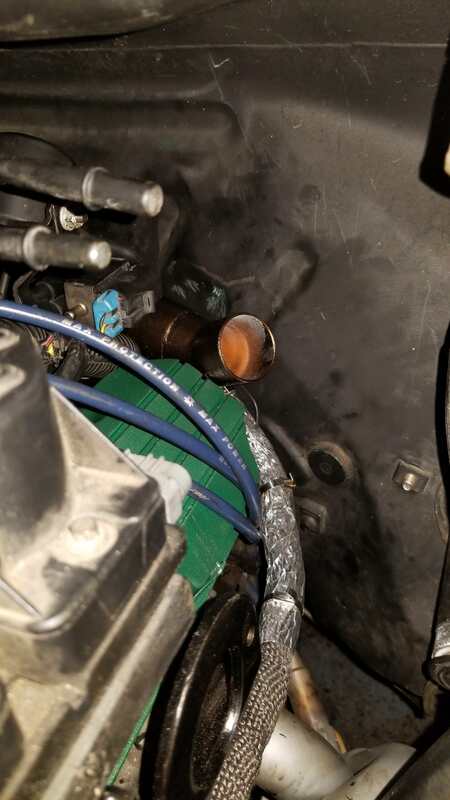 If you want to use the boost bypass solenoid then all you need is run one +12v switched wire to the valve and one wire to PCM C1-23 ('97 PCM only). If you wanted to get all fancy-like, you could wire a switch or two, to ground in series on the +12v side, on the shifter to prevent boost from building in 1st and reverse. The nice thing to note is that with DHP, you can simply 'tune out' the barometer check and adjust the MAP tables, and other tables, etc as needed. No need to change out the PCM, leave the BBV uncontrolled, etc. Buttoned up a few final things, found out the accellerator cable is not going to work at all, so ziptied it on. Ran into about 10,000 little things that are completely random - like the radiator plug O-ring leaking - that slowed everything down, but nothing insurmountable. 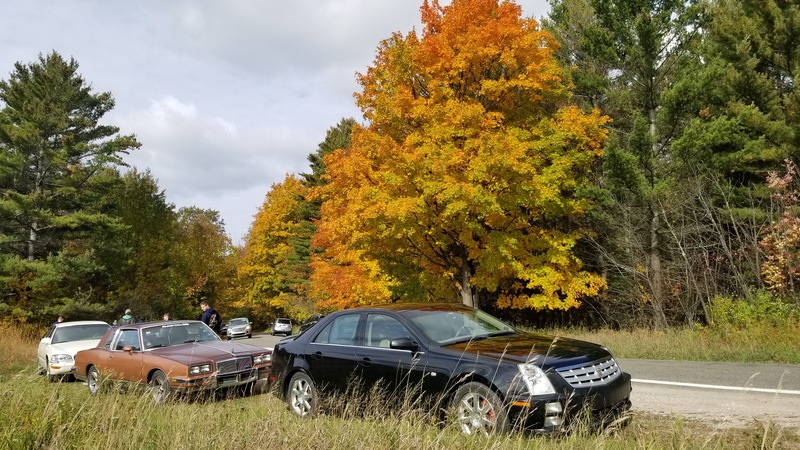 And the real test - the reason for the big rush... Fall Color Tour 2018! After getting back, I spent a day cleaning up in the garage first, then planning my next attack at this project. It should be noted that while you can use the stock '97 harness for this, it's not ideal and risks pinching between the LIM and the firewall. That, plus the leaks and belt routing issue, meant I needed to drop the engine out of the bay about 8 inches to get access to everything. Found that my leak was on the coolant bypass cover on the back of the LIM. I was worried that it was the blower case, but it wasn't my welds! So, step one, pulling the engine harness out from around the engine. The bulk of the harness runs along the back side of the LIM; my plan was to change that to run along the front, behind the alternator and under the snout. The only wires left to run on the backside are the three O2 sensors the '98+ uses, VSS, knock sensors, rev switch, starter wire, ECT sensor. 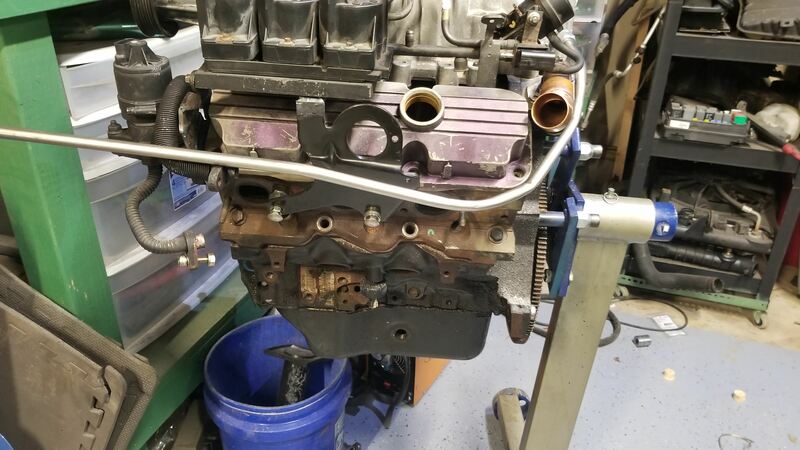 This reduces the bundle by about 75%, and I could route it further down on the bellhousing and away from the pinch point. Of course, if I'm going to all this trouble, then no good reason why not to upgrade to the better '98+ 3800 PCM. 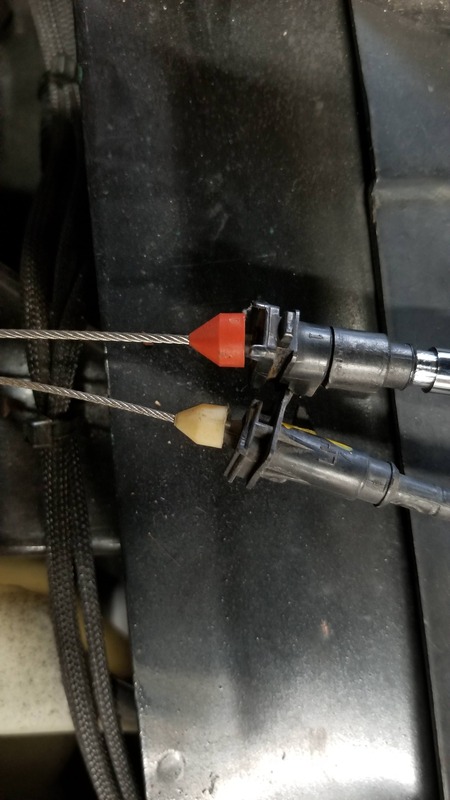 So I re-pinned the ECM connectors, had to extend maybe two wires to do that. 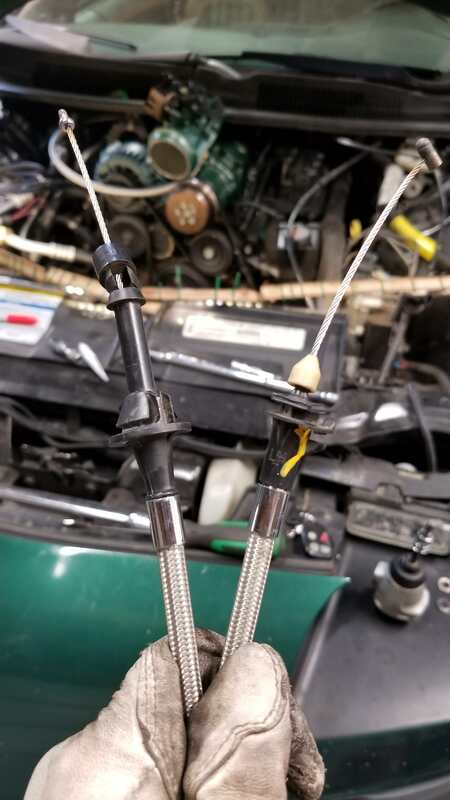 Then I re-routed all the sensor/injector wires, taking care to keep the bundle clean and organized. The wires that were too long were pulled back up into the harness to hide them. Then I fabricated a mount for the extra idler pulley, with a new belt routing to maximize belt wrap. I ended up with a 136" belt, from what I believe is one of the Duramax trucks, after adjusting some pulley sizes, which is pretty lucky because options for belts get scarce and expensive any larger than 120". Then, last thing, was the accelerator cable. I pulled a few spares from the yards, one from an L67 W-body. While you could probably make it work, it's a little long, and well you all know me... I tend to over-engineer things. So with the help of Venhill USA and McMaster-Carr I ordered the parts I'd need to make a custom cable. The OE cables are made with a 7x7 strand 1.5mm diameter wire inside a 6mm shield. 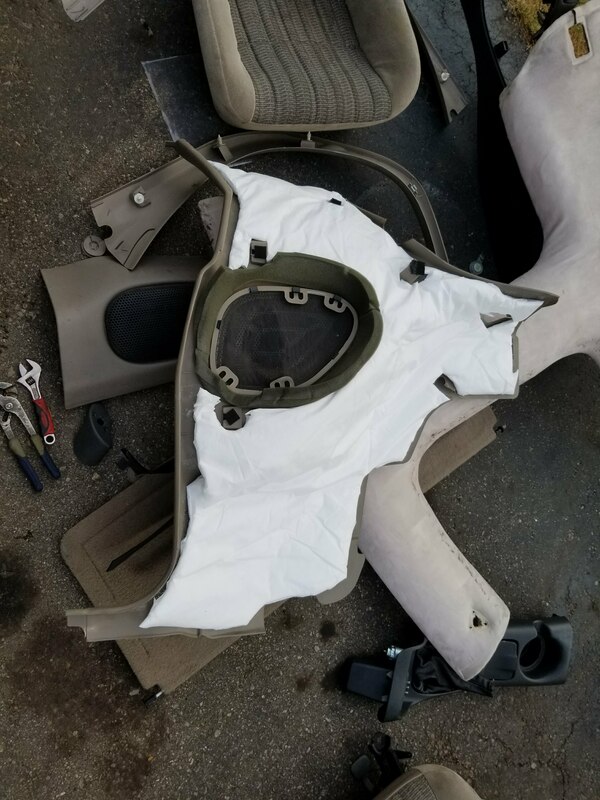 The end fittings can be twisted off the shield, with a little muscle. I'm using Venhill's 8mm stainless braided shield and a 1/16" 7x19 strand wire, which is a little bigger than OE. The gas pedal side I used the plastics from the Camaro throttle cable, drilled out to fit the 8mm ferrule for the Vehnill braided shield, then glued and press fit. 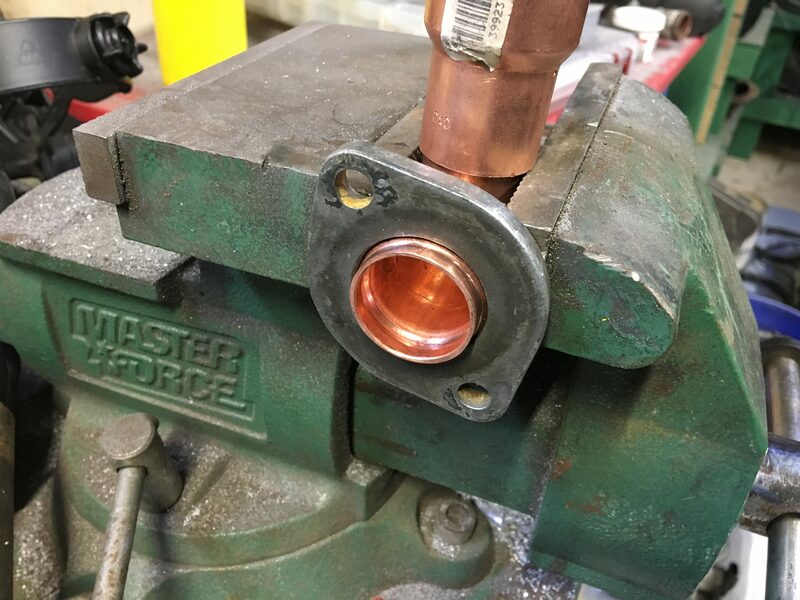 The end stop is the McMaster compression ball with shank end fitting, which is nearly identical to the OE end stop. 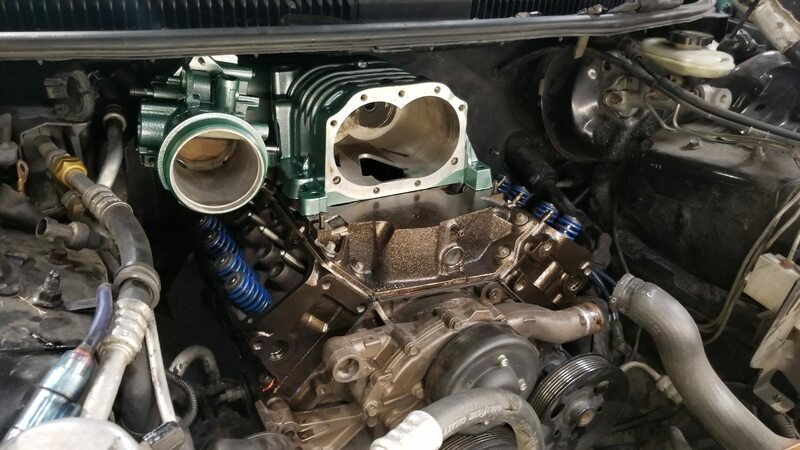 The throttle body side is the Grand Prix plastics - because the Camaro plastics don't clip into the L67 throttle body bracket. The end stop I had to basically mock everything up on-car to get the length right, then I drilled a hole in the side of an unthreaded spacer, 3/16 OD sized for a #2 screw, and pulled the wire through the hole and out the side. Everything is made from stainless. To 'cut' the wire rope I hit it with the TIG; it prevents the wire from fraying and made things a hell of a lot easier to assemble. Once I had everything mocked up I used the TIG to make the joint permanent. Then, finally, after fixing the leak, which turned out I missed a small piece of the old gasket on the coolant crossover cover, I was able to pull it out of the garage! Cue the clutch and tire smoke... I'll have more pictures of the completed project soon, I need to get my intake and air filter sorted out and get a tank of premium in it. Last edited by MattStrike on Mon Oct 22, 2018 2:16 pm, edited 2 times in total. 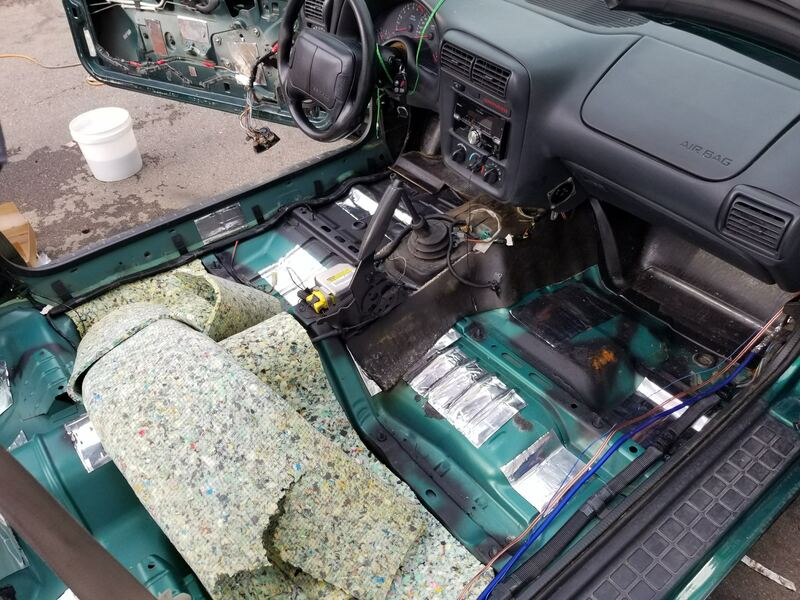 Post subject: Re: My 1997 Camaro: Top Swap!!!!!!!!!!!!!!!!! So it still has the cam yeah? Probably feels quite a bit more spunky now than when I rode it in it last. Yeah, still has the NA S1X cam in it. I haven't really gotten on it yet, as with any project there were some odd issues that needed to be figured out. Like somebody who had the blower case before me using the top center bolt boss as a spot to install what I'm assuming was some kind of water injection system - so it took me a while to find that particular vacuum leak. I think I have one more slight vacuum leak yet, it will hold a smooth idle at 800 rpm but gets unsteady at about 700 and will hunt and die. Then one of the injectors wasn't working very well, one of the coils was a little weak, the TPS from the donor was broken, etc... But in the little bit of driving I did do, you can tell it's got boost now. That appears to have fixed the misfire. I'll give it a few days to know for sure beforei claim success. I'm just surprised that what is basically a stock l67 setup needs that much smaller of a gap just because of the difference in compression. But it really does pull now, 2nd and 3rd go by so fast I find myself naturally reaching for 4th and just letting it start to run through before I realize just how fast it's going.. I recently figured out how to setup a DIY alignment grid at home, to check for toe adjustments. I'm going to check the front end alignment, I think it's out just enough to cause some instability when you hit a bump at speed. At least, I hope that's all it is. I sometimes question if the person who had this car before me tried some redneck way of lowering it and that's why it seems to bump-steer. I managed to get a 14.7 @ 96.4. Track prep was inconsistent between runs, and it was taking about 1.5 hours between runs. I was hoping for a 14.3-14.5, but like I was worried about I'm having trouble launching it now, can't get the 60' down with an open diff. 1st run the PCM pulled boost and/or timing in first for some reason. Second run was fine. The third run it hooked, but then broke loose again after so had to ease out of the spin before I could hammer down again. After that it didn't want to pull hard at all through the rest of first, but back again fine for 2nd and on. I conveniently forgot the scanner for this, so I don't know exactly what the PCM was doing or why yet. It's crazy how the difference between a 16.5 and a 14.7 is a bad launch. So the next thing(s) on the list to tackle are the rear end and alignment. Some reason when you have the hammer down the rear end feels like it wants to wander side to side, worse when you hit one of those big rolling bumps that tests the limits of your suspension travel. It did that tonight on the track, while I'm in third gear it started to 'wobble' a bit in the rear end. I'm guessing panhard bar bushings are worn out. I did an at-home toe alignment yesterday, everything measures straight in the front end but it pulls to the right sometimes, and I found that the inner passenger tie rod is bent slightly. I didn't find anything really loose anywhere in the front, but I think I'm just going to replace inner tie rods and all the ball joints as a precaution.